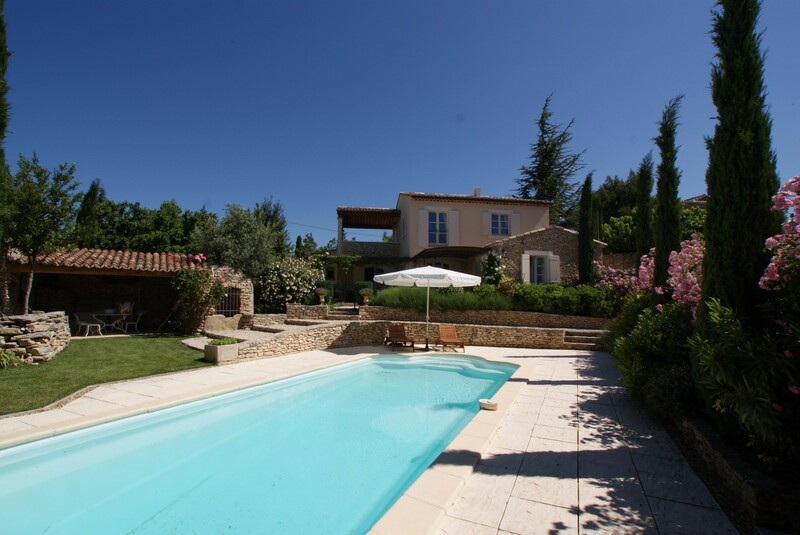 Villa Coeur du Village in Cabriere d'Avignon Luberon, Provence is tucked away in the foothills of Monts de Vaucluse in the picturesque village of Cabrieres d'Avignon. 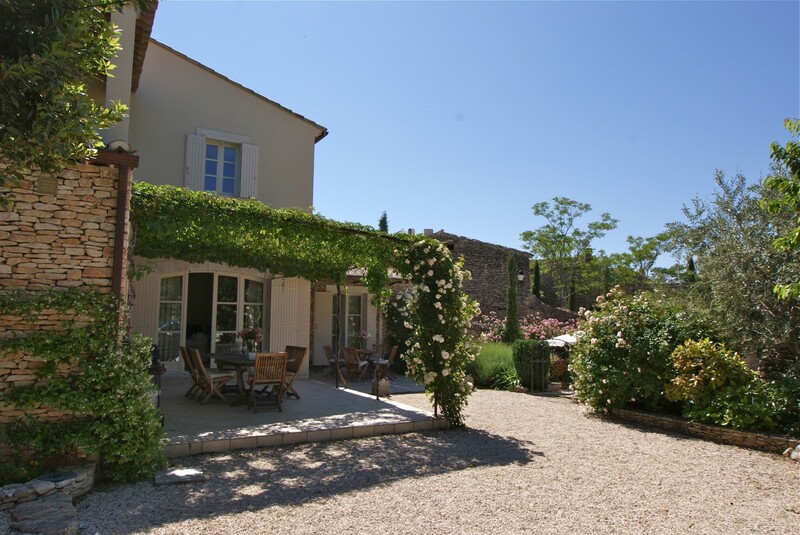 This charming and authentic villa is enclosed by a stone wall and offers a private garden with cypress trees and fragrant lavender, roses, and jasmine. Enjoy outdoor dining on the shaded terrace, and end the meal with a bowl of amazingly tasty cherries from the tree in the yard. 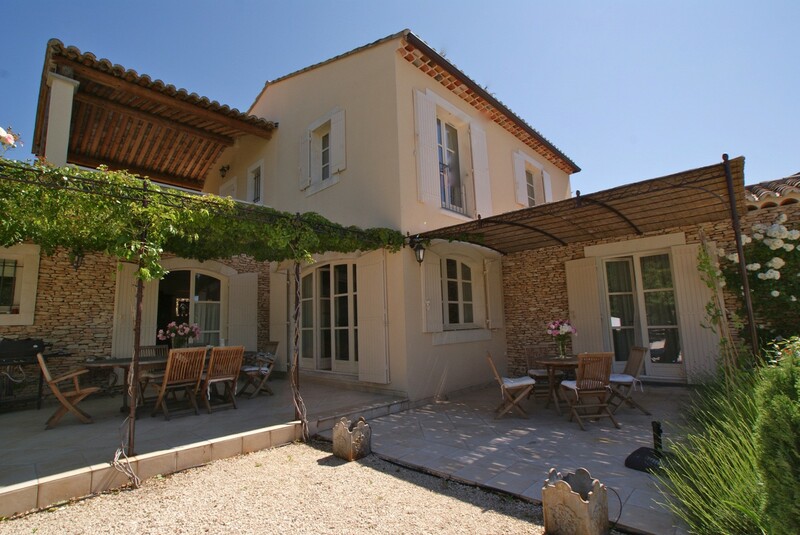 Then sink into a chaise lounge on the deck near the inviting swimming pool to spend the afternoon basking in the legendary Provencal sun. The villa entry opens to a traditional country kitchen featuring beamed ceilings, a dining area and every amenity for a carefree vacation. French doors admit natural light and lead to the al fresco terrace. The comfortable living room is designed for relaxation with its stone fireplace and cushioned white sofas. 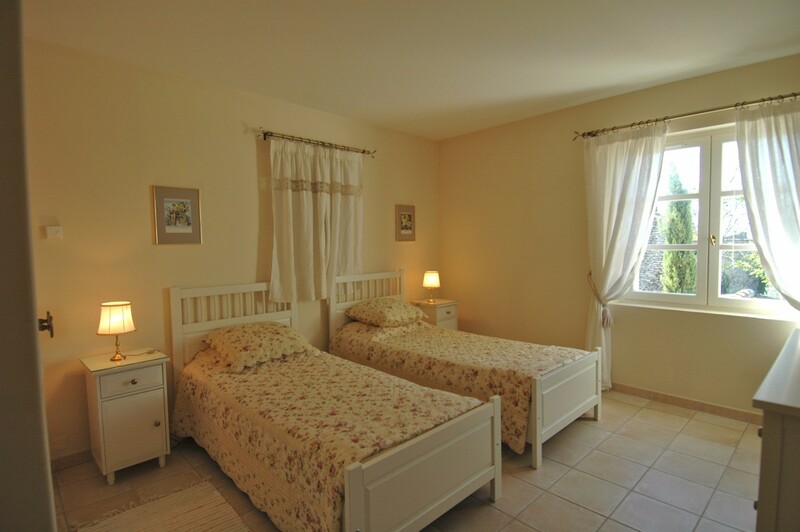 All four bedrooms are tastefully decorated and provide convenient WiFi Internet access. Guests at the villa will enjoy a host of desirable amenities, including satellite flat screen TV, a CD and DVD player, a gas barbecue and a washer and dryer in the laundry room. Families will appreciate features including a fenced yard, a pool alarm and generous spaces both indoors and out. 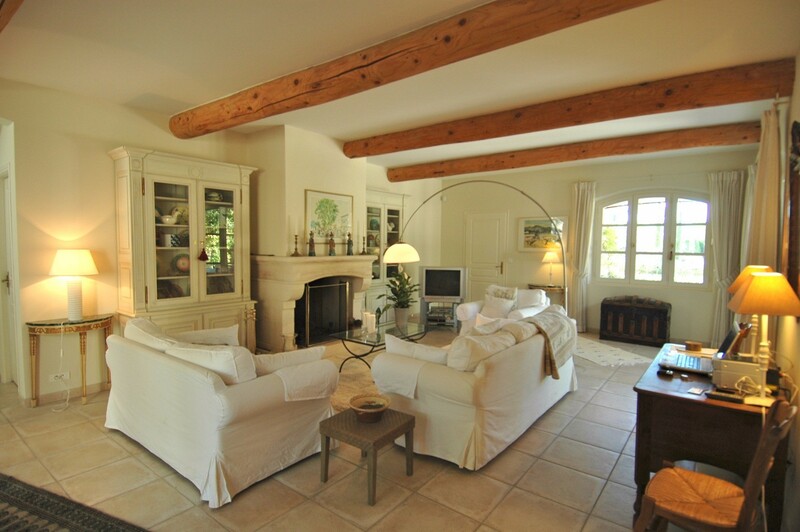 Villa Coeur du Village is the perfect choice for vacationers who want to experience the slow-paced Provencal lifestyle. 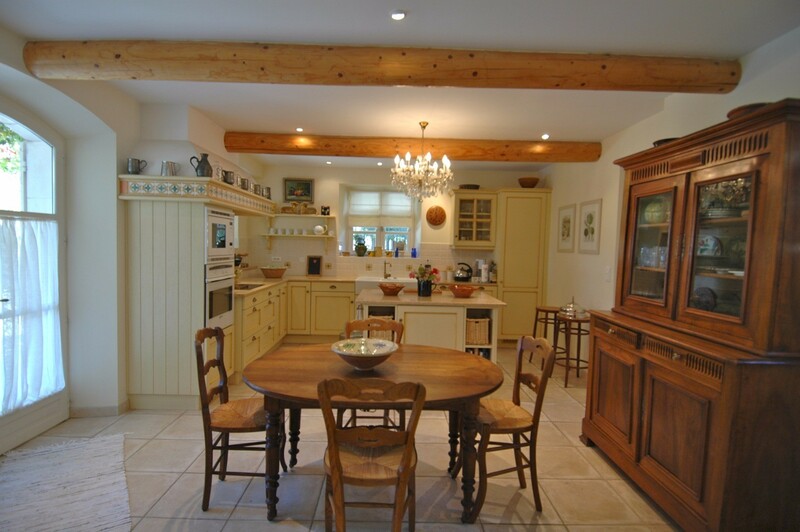 A short walk will lead you to the village where you will participate in the authentic way of life typical of the area with its 12th century chateau, restaurants and bars serving local dishes, a wonderful bakery and a grocery stocked with produce. 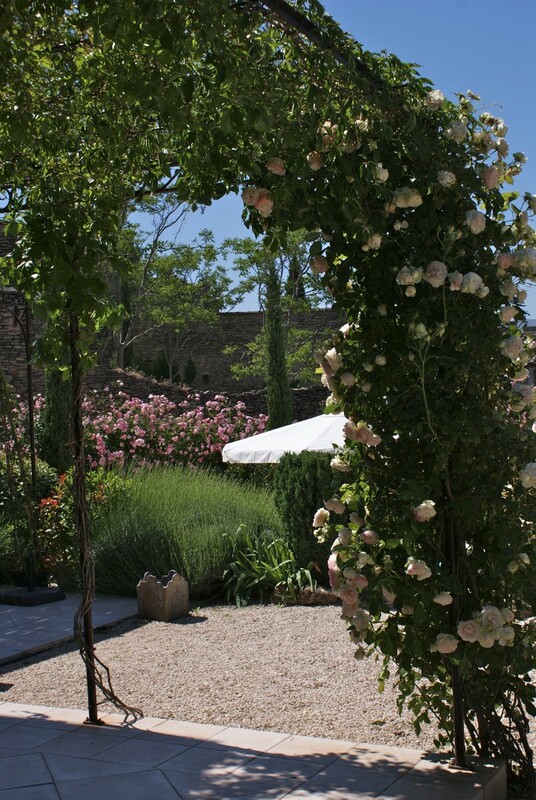 The beautiful hilltop town of Gordes is nearby, and exciting Avignon is within easy reach. 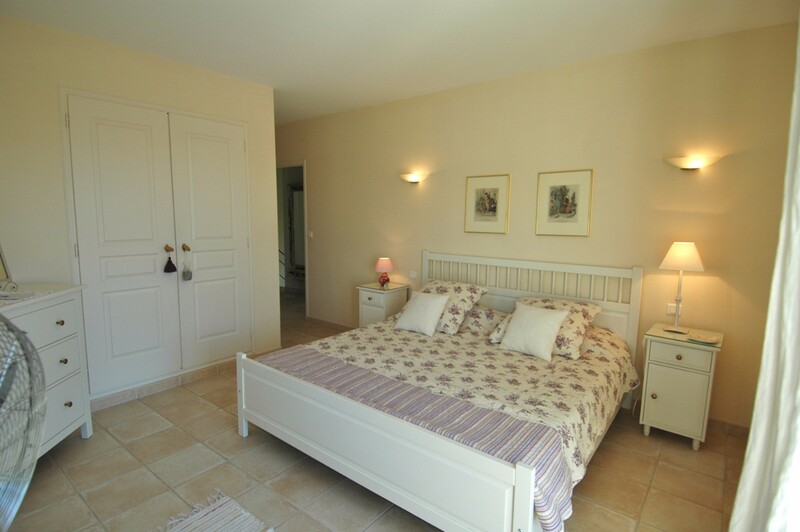 General information: The villa offers 200 sq. m of interior living space and enchanting exterior living areas with 822 sq.m of landscaped gardens. Getting there: Marseille/Provence Airport 1h, Nice Airport 2h20 mins, Avignon Train Station 40 mins, Aix-en-Provence Train Station 50 mins. Bedroom 1: Ground floor bedroom with a king-size bed, WIFI, access to the garden and an en-suite bathroom with bathtub, shower, vanity and WC. 2 guests maximum. Bedroom 2: Upper floor bedroom with 2 single beds, WIFI and a shared bathroom with shower, vanity and WC. 2 guests maximum. 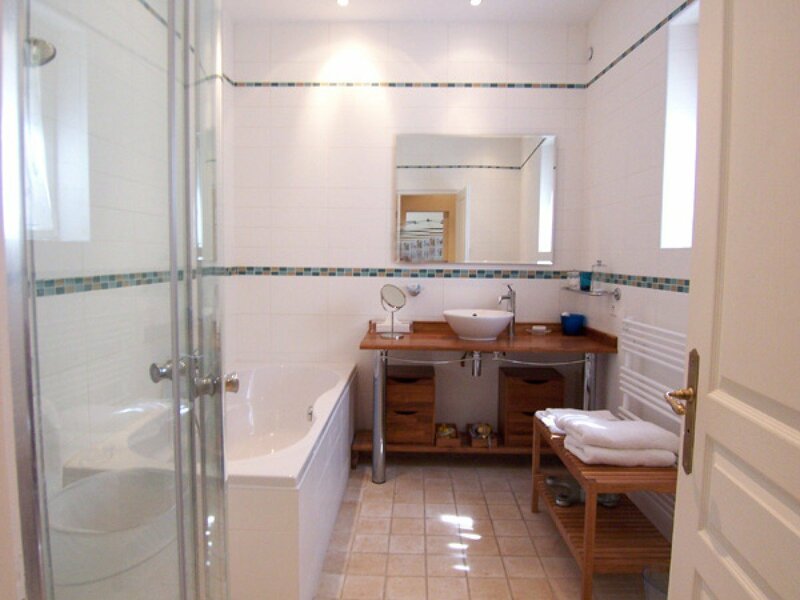 Bathroom 3: Upper floor bedroom with a single bed, WIFI, access to a private shaded terrace and a shared bathroom with shower, vanity and WC. 1 guest maximum. 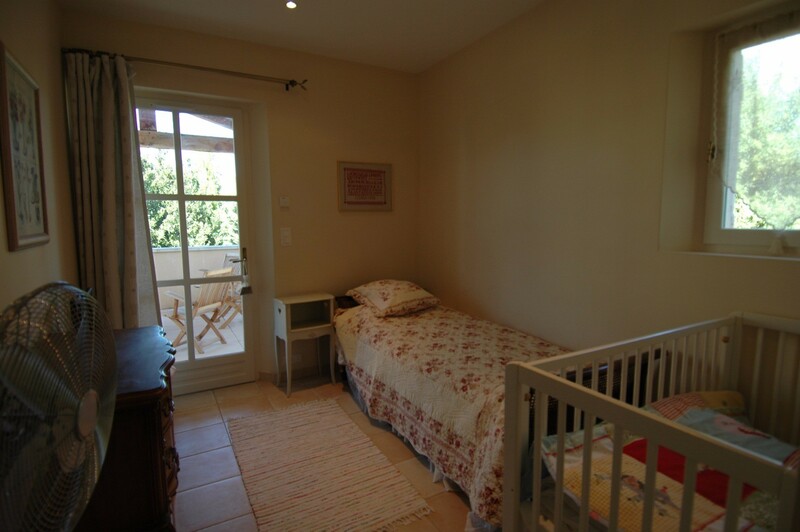 Bedroom 4: Upper floor bedroom with a king-size bed, WIFI, access to the garden and an en-suite bathroom with shower, vanity and WC. 2 guests maximum.